If you neglect your property and don’t clean it in the last days of your lease you risk to loose your security bond. Your landlord won’t be happy at all to see the condition of the rooms during the inventory check. Doing the cleaning of your rented property on your own is hard, tiresome and won’t deliver the desired results. We offer professional end of tenancy cleaning services, done by qualified, skilled and experience cleaning staff. Our end of tenancy cleaning is at your disposal in Wimbledon SW19 every day of the week. 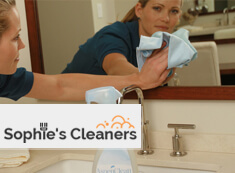 You can rest assured that your rented flat or house will be cleaned from top to bottom by our qualified cleaning staff. All of our employees are trained to do their work professionally and fast. They use advanced cleaning machines, various mopping tools and eco-friendly detergents, which are effective but completely harmless for your health. 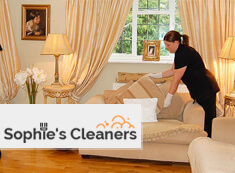 Our end of tenancy cleaning that we offer in Wimbledon SW19 includes thorough sanitising of every room and area. All of our employees are fully vetted, professionally-trained and have the necessary machines and detergents. They will ensure you the receiving of your full deposit. Our cleaning staff will mop and disinfect the floors, wipe the dust from the shelves, hardwood furniture, clean inside and out all cooking appliances. Use our professional moving out cleaning services, available daily in SW19 Wimbledon at reasonable prices.